In 2017, Romania had a high rate of economic growth at 7% due to consumption demand being boosted by pro-cyclical fiscal measures aimed at increasing revenues and cutting indirect taxation. We estimate gross domestic product (GDP) growth at over 6.1% in 2018 and 5.7% in 2019. During 2017, the structural budget deficit and the trade deficit increased. The inflation rate on consumer prices rose to 1.3% in 2017. The unemployment rate continued its downward trend and was close to historical lows at the end of 2017 at 3.9%. However, Romania’s labour market is vulnerable to high emigration which has reached a worrying level of 15% of the country’s population, or 25% of the active population. Romania’s fiscal standing is sustainable, considering that the budget deficit was 2.9% of GDP, and that the country’s public debt was 60% of GDP. With 35% of GDP, the level of public debt is one of the lowest in the EU in 2017. During 2017, the balance of payments current account had a deficit of €6.464 billion, according to the National Bank of Romania data. We expect a review of the macro-prudential framework in 2018. The asset quality review of 2018, the interest rates’ development, a review of the macro-prudential framework and the double-digit increase in new lending are the main concerns of the banking sector for 2018. At the end of 2017, the Romanian banking sector included 35 credit institutions: two banks with full or majority Romanian state capital, four credit institutions with majority domestic, private capital, 22 banks with majority foreign capital and seven branches of foreign banks. About 77% of the Romanian banking sector assets were held by institutions with foreign capital in 2017, a downward trend compared to the 91.3% registered at the end of 2016. At the end of 2017 the banks with Austrian capital have a market share of 25%, followed by the banks with French and Dutch capital (13% market share each), Italian (10%) and those with Greek capital (9%). Banks have adjusted their employee number in the sector to around 55,000 persons, while the number of bank outlets shrank to 4,500 at the end of 2017. Non-government credit is forecast to grow by 6.4% in 2018 in conformity with banks’ strategies, having grown by 5.6% in 2017 to about €50 billion. The ratio of banking sector assets to GDP was about 50%. The legislative initiatives e.g. the capping of interest rates, the limitation of the recoverable amount of assigned receivables, and the elimination of the writ of execution feature of credit contracts for individuals (draft laws are meant to be applicable to ongoing lending contracts) with retroactive application, have the tendency to affect the financial sector stability, which in turn affects investors’ predictability and perception. Domestic saving went up by 60% between 2008 and 2017, increasing to €65 billion. The Romanian banking sector maintained its structural stability in 2017 and the level of solvency and liquidity ratios were at an adequate level: 19.98% and 38%, respectively. The high capital reserves show a good capacity to absorb unexpected losses and the presence of resources to lend to the real sector. Last year, we had very good results, and this positive trend makes us optimistic with regard to the fact that banks will be able to concentrate their efforts and resources on their main line of business: to finance the economy and, implicitly, the Romanians’ welfare. The development of the profitability ratio was brought about by the favourable macroeconomic context, the significant drop in the net expenses with adjustments for depreciation and the low level of funding costs. For the banking market, 2017 was the second year of real operational profitability which had been lost for a couple of years, contemplating the cut in risk costs. Return on assets reached 1.30% and return on equity stood at 12.51%. The NPL rate shrank four times compared its maximum registered in 2014. The NPL rate shrank to 6.41% at the end of December 2017. For 2018, it is very likely that we will continue to witness the reduction of the NPL rate. The loan-to-deposit ratio reached 75.30%. The banking sector’s assets, which were €91.8 billion, and which show the size of the funding granted to the economy, went up 30 times in the last two decades. The banking industry from Romania intends to contribute in the future to the sustainable development of Romania and to the Romanian society in general. 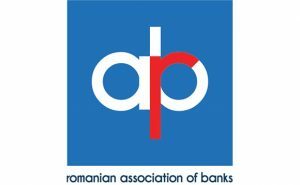 During 2012-2016, the banking sector had a total contribution of 4.2% to Romania’s cumulated GDP. This goal could be achieved more quickly if there were a balanced and predictable legal framework and Romania’s convergence speed can be improved by the elimination of barriers at national level generated by the law-making process.